Emollient rich moisturizing cream that helps improve the appearance of radiance, texture and a reduction in the appearance of fine lines and wrinkles for younger-looking skin. Apply one dollop of cream directly on skin with spatula provided and massage gently. Love this cream. I use it once or twice a day following application of the Daily Cocktail serum or Nighttime serum. Very creamy and has a nice light scent. Absorbs quickly into my skin leaving a nice soft texture. This is one of my favorite creams to use on a regular basis. 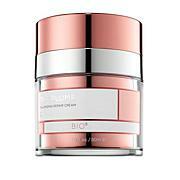 Love the Beauty Bioscience line of products. 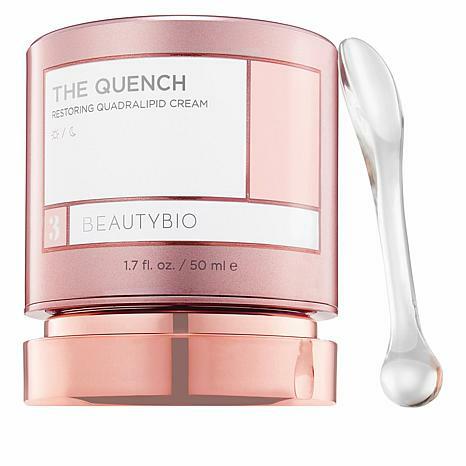 Beauty Bioscience "the Quench" is the closest product I've used to date that addresses dryness. As I layer other face creams before makeup is applied this was "the best for overall dryness". I use on days I don't use makeup just for the aid in dryness for my face. I relied on the moisturizer of the sea with a miracle broth to soothe my dry sensitive skin. But this is 100% better and more effective in hydrating immediately and over time. I already have gone through an entire jar. And from a cost perspective you get more for you money too. It is unreal! Very expensive for a cream that doesn't really offer any change to your skin. I regret paying so much for this product that was only 1.7 ounces too! My skin was still dry and the cream is a little heavy. Not at all what is says... Smh!